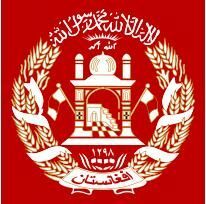 Afghani sovereignty and self-determination may be making success even more distant. The unilateral decision by the Karzai government to call a halt to the employment of private security contractors means that net, net, the surge will be made meaningless. It will be spent on support functions not "winning the war." Forces in Afghanistan, particularly our NATO partners', manage to avoid most direct contact with the enemy and casualties by assigning the defense of their support functions, convoys and installations, to contractors. Thus the coalition's ISAF acronym has come to mean: I Saw Americans Fighting.